2016 SDUSD “State of the District” Propaganda Series-Part 2: Incompetent Supt. Cindy Marten’s “First 5” Disasters of the 2016/2017 School Year!!! As a prelude to today’s 2016 SDUSD State of the District” propaganda sideshow, we recently posted “2016 SDUSD “State of the District” Propaganda Series-Part 1: Incompetent Supt. Cindy Marten’s “First 5” Disasters of the 2016/2017 School Year!! !” to lay bare the continuing incompetence legacy of San Diego Unified School District Superintendent Cindy Marten. In this post we will provide Marten’s “State of the District” Disasters 2-5 for your review. IF the District posts recordings of the speeches online, you can bet that Marten and her Board of Education cronies will be in full cover up mode when it comes to the items we list below. District Deeds described the hiring dysfunction by Marten though our Brain Drain, Principal Selection Side Show Series and her hiring negligence at Serra High School and Lincoln High School posts. Marten has extended her negligence and proven her incompetence into the new school year by STILL NOT appointing a Principal at Serra OR Lincoln almost 2 months into the new school year. That’s right, REPOSTED on October 1, 2016, over a MONTH after the start of school for positions that Marten has known FOR 5 MONTHS would be needed at both schools and has been too incompetent to provide the leadership to get it done. In addition to lagging in hiring Principals, Marten has continued to hire individuals with virtually NO Principal experience to fill many of the over 100 Principal positions…NEARLY 66% TURNOVER…that were created by her toxic management style. A TOTAL failure by the Superintendent, totally ignored by the current corrupt Trustees – Sharon Whitehurst-Payne, John Lee Evans, Richard Barrera (All Nov. 8 Election candidates – vote them out! ), Kevin Beiser and Mike McQuary, to serve the Students, Teachers, Community and Stakeholders of BOTH Lincoln and Serra and other schools with “Rookie” Principals. 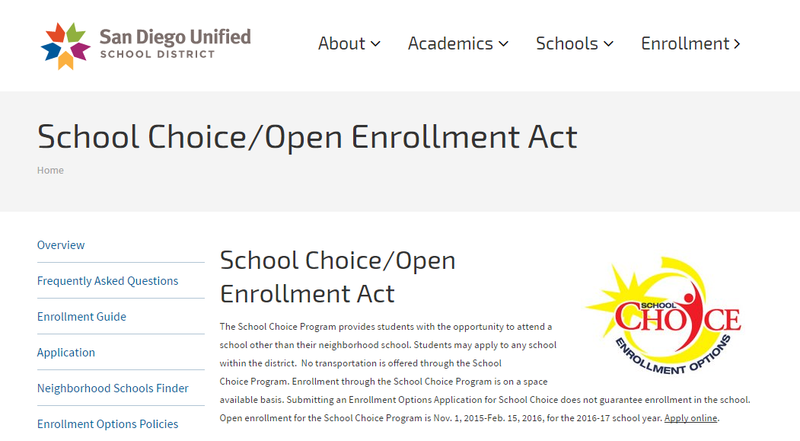 In past years, the SDUSD had a fairly generous School Choice program. The window for applying was November 1 – February 15, 3 1/2 months, to allow parents and guardians to fully investigate the best possible educational option for their children. Busing was readily available and free to all. But then the educational world for SDUSD Students and Parents changed for the WORSE with the SDUSD blurry “Vision 2020 Quality School in every Neighborhood” scam. First busing was attacked. Families were charged hundreds of dollars to have their children safely bused to the schools of their choice in the District to get away from their failing neighborhood school. In addition, busing schedules were cut back and access was limited to the students who were lucky enough and rich enough to have transportation to the school they chose. Now the time to choose has been moved and drastically cut back WITH NO PRINCIPAL, TEACHER, PARENT, STUDENT OR COMMUNITY COLLABORATION! The time to choose this year was reduced to five weeks-HALF the time-and one month earlier – from November 1st moved back to October 6th! The dates align with other District in the area (the same weak reason for the early start school date). It makes the SDUSD more competitive to keep students in the District. Obviously the “competitive” word is directed at beating the Charter and Private schools from poaching students. In the crazy and distorted logic of the incompetent Marten, cutting the days and making it more inconvenient for families to go to the school of their choice will somehow INSPIRE parents to send their kids to their neighborhood school. What it REALLY does is inspire families to look for better options OUTSIDE the SDUSD since they can’t easily get into the SDUSD school of their choice. A quick, unscientific survey of local Elementary, Middle and High School Charter Schools uncovered that charters have MUCH MORE EXPANSIVE windows to apply for admission. There are charters in San Diego competing with the SDUSD that open applications for enrollment starting as early as October and ending as late as June!!!! So Elementary School Superintendent Marten, on top of NO collaboration with Stakeholders that used faulty logic to create a substandard “Choice Options” plan, was also able to completely bungle the announcement of her new blunder. Many SDUSD Stakeholders have no clue that the dates have changed! Obviously the strategy of Marten to achieve the “Vision 2020 – Quality School in Every Neighborhood is to just FORCE the families with financial and language barriers to attend their neighborhood school, no matter how bad, by cutting out other options to get to a better school. In other words, JAM THE NEIGHBORHOOD SCHOOL DOWN THE THROATS OF THE FAMILIES WITH THE FEWEST OPTIONS ALREADY! With these restrictions, families are being FORCED by Marten to either send their kids to a bal neighborhood school or take a chance at a nearby Charter School. What would YOU do if you were a family with those choices? The SDUSD is losing HUNDREDS of students to Charter Schools each year. With this “Choice” blunder by Marten, the California Charter School Association may nominate her for “Charter School Innovator of the Year”! This type of fake community engagement by Marten, that District Deeds calls “Fauxllaboration“, is a standard and worn out diversion tactic by this phony and inept Superintendent…and an INSULT to SDUSD Students, Families and Communities of color. You would think Marten would be smarter after 3 years in the job, but obviously she is truly living down to her District Deeds Performance Rating of a “12 Month Disaster“. Another “New” initiative this year by Marten and her Propaganda Minister Andrew “body wash up on shore” Sharp is a District assisted Cluster and School Site Marketing plan. Just like the Disaster No. 2, the Endangered School Choice and Disaster No. 4, the Equity Alliance Fauxllaboration, the insecure Marten REFUSED to accept any opinions outside her fully controlled and bullied inner circle. 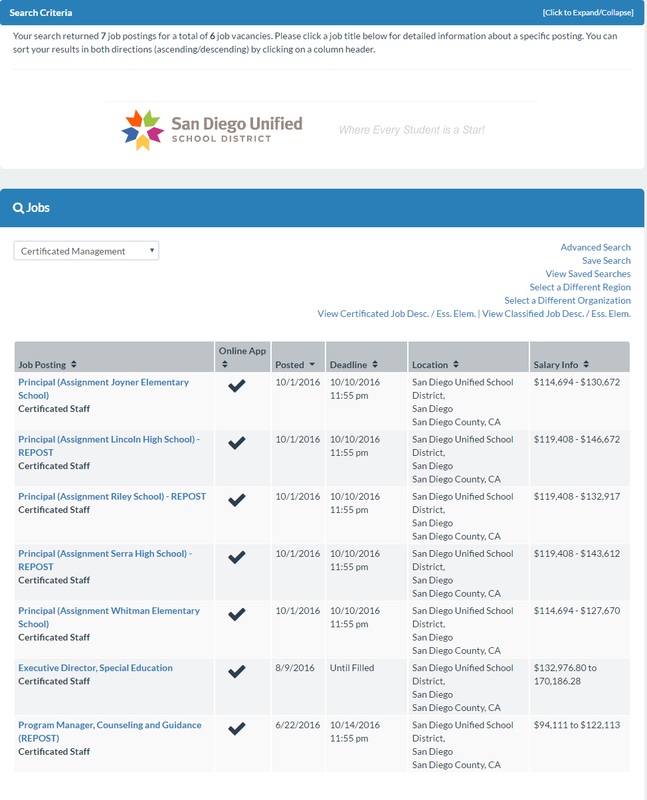 A half-baked Marketing initiative, created without any REAL discussion or collaboration with ANY SDUSD Stakeholders…especially site Principals and Teachers…with one week notice for rollout is a CLASSIC Marten blunder. Based our on experience in marketing strategies and tactics, District Deeds predicts that this Marketing Plan will “wash up on shore”, but no one will be able to tell Marten OR Sharp because everyone knows what happens if a Principal has the temerity to object to short notice or challenges the plan in some way. They become a victim of the toxic Marten Brain Drain syndrome…in other words…fired! So get ready for a big spoonful of saccharin in the 2016 State of the District today…full of lies…devoid of ethics…and ultimately untruthful…just like it has been EVERY YEAR since Marten was appointed Superintendent with no credentials!!! The state really needs to intervene so the district complies with all laws. All 106, 000 district students are suffering everyday that it’s allowed to continue operating in secrecy and utilizing bully tactics.